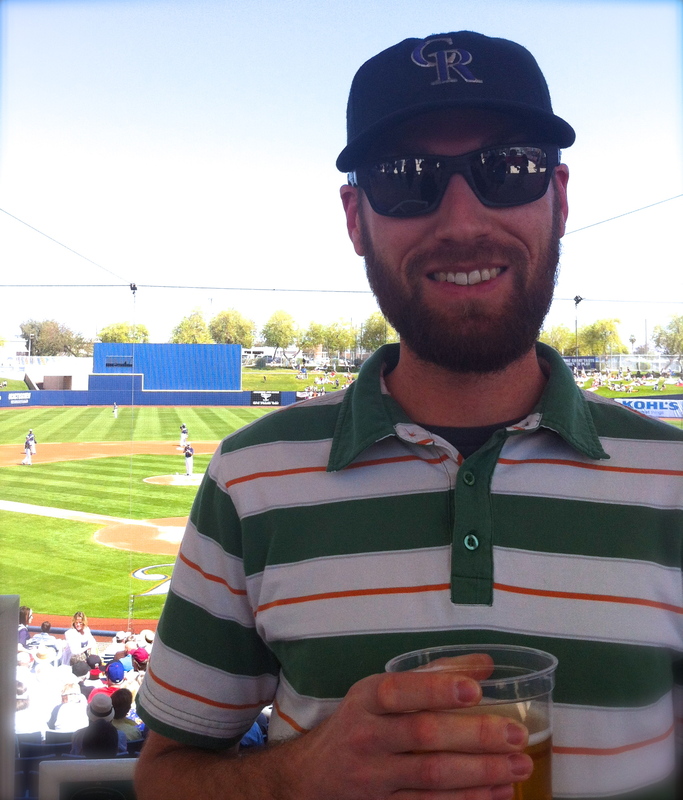 When the ladies of Beards of Denver headed down to Scottsdale, Arizona to catch some of the Colorado Rockies’ spring training games, we were pleasantly surprised to also catch a great beard from (where else?) Denver! Meet Jeff, who we encountered at a Rockies vs. Brewers game on a sunny Sunday in Phoenix. Jeff’s lovely wife Erica is a big fan of his beard; he usually shaves during baseball season, but with her encouraging he’s likely to keep his beard all season long (it’s sure to be the Rockies good luck charm, we’re certain). Jeff and Erica live in HIghlands and will definitely be attending Opening Day this coming Friday. Jeff’s favorite part of his beard is the beautiful girl it got him, and Erica says all her girlfriends admire Jeff’s beard, too. Obviously, we like that those ladies share such good taste!